I hosted the LAC party last night – the last at our loft apartment. 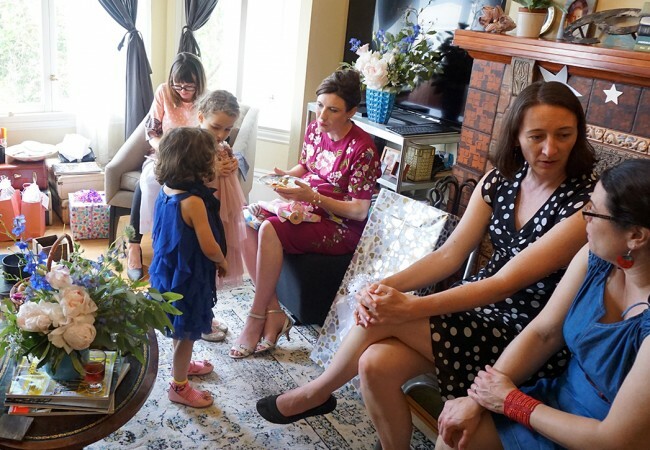 It was a really fun, easy and productive party. 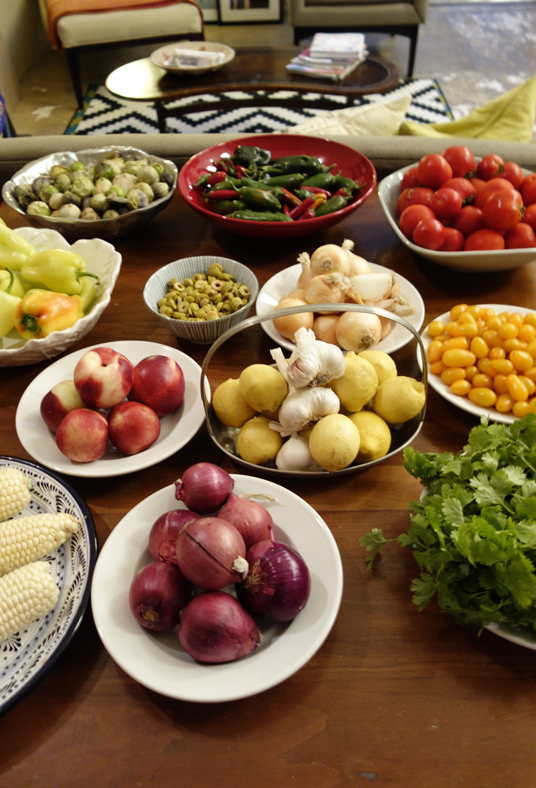 To start, I stocked up on a myriad of produce and supplies at farmer’s market. All of this was about $10. 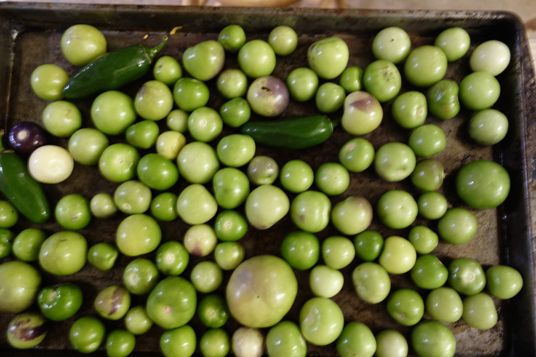 First, we peeled and started roasting the tomatillos and jalapenos for the green salsa. 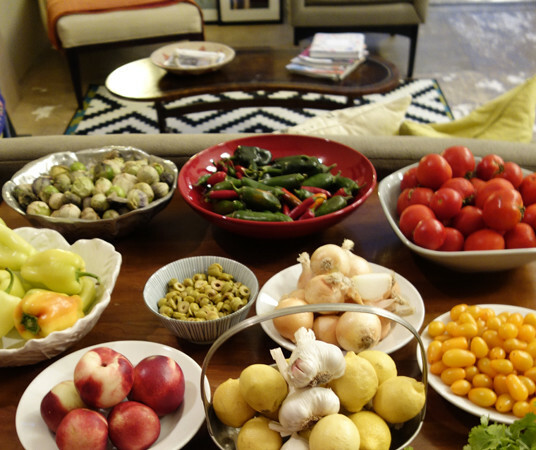 Meanwhile, I put out snacks of chorizo, cantaloupe, quesadillas and jalapeno stuffed olives. 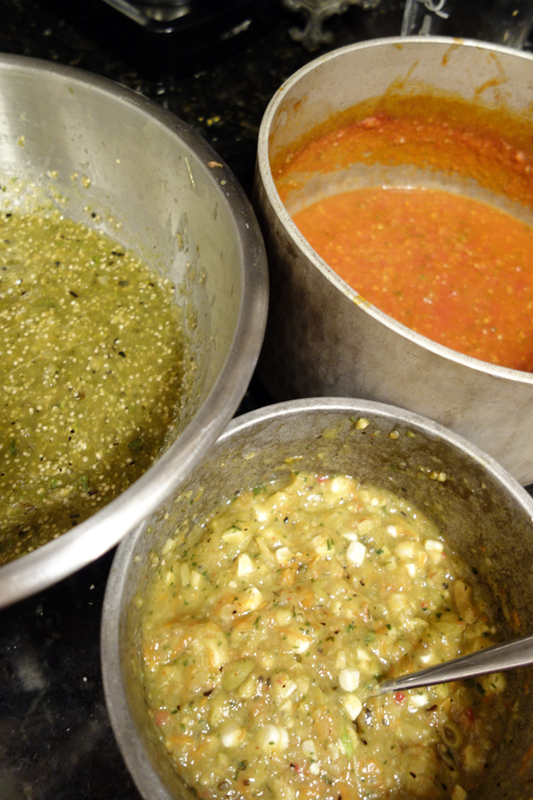 Together, we finished the roasted green salsa and made cooked red salsa. 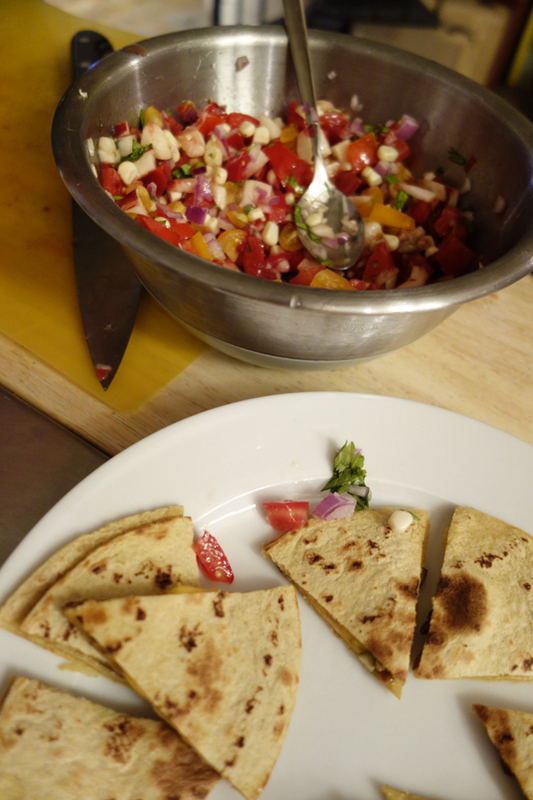 Then, everyone experimented with their own recipes. I made a spicy salsa with banana peppers, serrano chilies, yellow tomatoes, cilantro, garlic, white corn and green olives. At the end of the night, we all took home samples of each other’s salsa. Plenty for a week’s worth of delicious chip-eating!